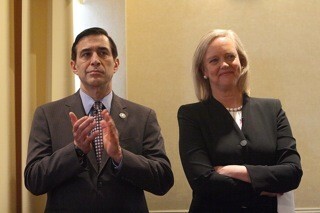 Town Hall Asks a Simple Question: Where’s Darrell Issa? On Tuesday evening, around 2,000 people turned up to a town hall meeting in San Diego County with their congressional representative—only he never showed. 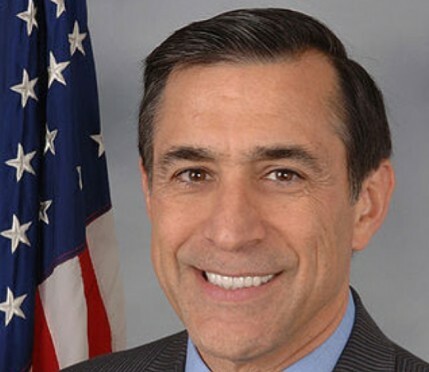 Darrell Issa’s office claimed he had a prior commitment to visit a homeless shelter. Speaker cards were handed out, and veterans, doctors, nurses, clinic workers and constituents were given two minutes to either ask a question or make a statement. “The power of the individual stories was profound,” said Johnson, especially the 82-year-old Republican Vietnam vet who spoke in favor of keeping the ACA provisions. Earlier, his wife had told the standing-room-only crowd of the long-term effects of Agent Orange exposure on her husband’s health. The event was organized by a vast coalition, who even crowd-funded the thousands of dollars needed to take out a full-page ad in the San Diego Union-Tribune inviting Issa to the town hall. All he had to do was show up. He apparently didn’t want to face a lot of loud constituents and the organizers, which included unions SEIU CA and 221, UDW; Courageous Resistance Encinitas; three Indivisible groups; Our Revolution North County San Diego; Preserve Progress; Together We Will North San Diego County; The Wagon Circle; Organizing for Action; American Federation of State, County, and Municipal Employees (AFSCME); San Diego Organizing Project; Planned Parenthood Action Fund of the Pacific Southwest; San Diego Labor Council; San Diegans for Health Care Coverage/CCHI; Sierra Club; and Health Access. 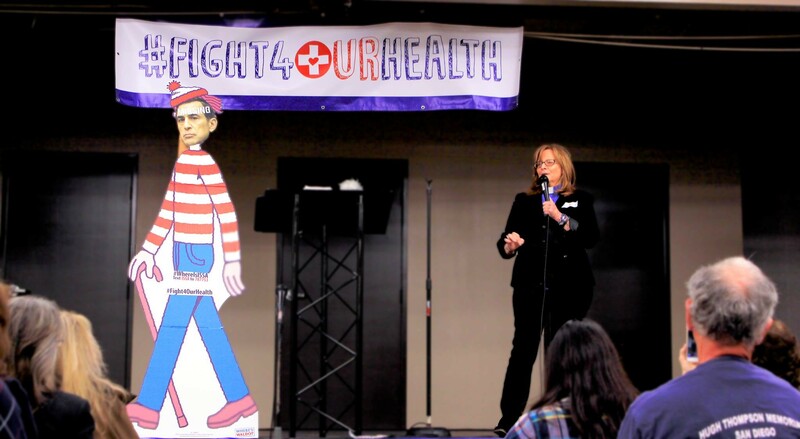 As for the ACA, which was the organizing topic for the town hall, Issa refused to attend—even though he was personally invited and offered a ride from someone right there on the sidewalk. The congressman says he has cooked up a proposal to keep the costs of health care down; otherwise, he says, no one will be able to afford it. That is hard to believe coming from the richest man in Congress. His proposal is called “The Access to Insurance for All Americans Act,” though accessibility is not affordability. A citizen asked him how many more than the 20 million already covered by ACA will be covered, not how many “will have access” to coverage by his replacement. The congressman took to math to not answer the question, saying of those 20 million, 11 million are subsidized and nine million are paying themselves. He is “neutral on subsidies” but wants to toss all state, local and federal employees into the pool. He wants a bigger pool for everyone. But who can afford to swim in it? The noise and pressure seem to be working, since the talking points now include something other than stark repeal. Of course, the fact that 64,643 constituents of the 49th district have health coverage, not access, under Covered California, according to Health Access may have an effect on the congressman’s thinking. The real test at the voting booth for Mr. Issa is the OC portion of his district, because he lost in San Diego in 2016. Will the gerrymander hold in 2018? We’re looking at you, Dana Point and San Clemente. Rev. Johnson said there were residents of Dana Point present Tuesday night, and they “promised not to let you down” for the midterms.